GETTYSBURG, PA (December 9, 2017) – Celebrating an owner/driver relationship that will reach nine years in 2018, Danny Dietrich and Gary Kauffman Racing will tackle an intense schedule during the upcoming year, splitting their focus nearly 50/50 between competition in Central Pennsylvania and on the road. Unofficially, Dietrich’s plan is to join the World of Outlaws Craftsman Sprint Car Series and the Arctic Cat All Star Circuit of Champions for a combined 40 events during the new year, with the rest of his schedule molded around competition in the Keystone State. 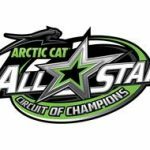 Tentatively, Dietrich will join the Arctic Cat All Star Circuit of Champions 26 times in 2018. Unlike prior seasons, Dietrich’s Central Pennsylvania schedule will mold around action at Port Royal Speedway on Saturday evenings rather than Lincoln Speedway. In addition, Dietrich plans to miss action at Williams Grove Speedway on several occasions in 2018, making time to travel elsewhere if the opportunity fits. 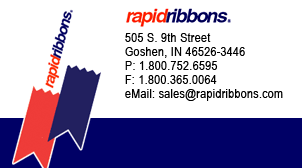 Despite the new look, Dietrich and Gary Kauffman Racing are pleased to announce that all major partners affiliated with the GKR program will return in 2018 including Weikert’s Livestock, Pace Performance, Sandoe’s Fruit Market, Gsell’s Whitetails, Hickory Run Orchards, and Self Made Motorsports. 2017 Highlights: Finished eighth against Arctic Cat All Stars at Bubba Raceway Park to launch 2017 season. Earned top-ten finish against World of Outlaws Craftsman Sprint Car Series on Sunday afternoon, February 19. Earned Lincoln Speedway Icebreaker 30 victory worth $4,000 on Saturday, February 25. Earned Lincoln Speedway victory on Saturday, March 25. Finished ninth against Arctic Cat All Stars at Atomic Speedway on April 9. Recorded a Central PA podium sweep at Williams Grove (2nd) and Lincoln Speedway (3rd) on April 14-15. Earned Weldon Sterner Memorial victory at Lincoln Speedway on April 29 worth $6,900. Finished third during Gettysburg Clash at Lincoln Speedway with World of Outlaws on May 17. Earned victory at Williams Grove Speedway on May 26 during Charity event. Finished fourth during Bob Weikert Memorial finale at Port Royal Speedway on May 29. Finished second during Bob Weikert Memorial preliminary on Saturday, May 27. Finished second on back-to-back nights at Williams Grove Speedway and Port Royal Speedway on Friday and Saturday, June 2-3. Scored fifth win of the season on June 10 during Fallen Firefighters Night at Lincoln Speedway. Scored sixth win of the season on June 24 at Lincoln Speedway. Finished second against Arctic Cat All Stars at Waynesfield (OH) Raceway Park on Wednesday, June 21. During Pennsylvania Sprint Speedweek, Dietrich earned a victory at Lincoln Speedway, as well as seven other top-ten finishes including a runner-up performance at Selinsgrove Speedway. Finished fourth at Lincoln Speedway on Saturday, July 15. Charged from 16th to ninth during WoO sanctioned Silver Cup at Lernerville Speedway. Scored pair of top-five finishes during Arctic Cat All Star competition at Outlaw Speedway (fourth) and Lebanon Valley Speedway (first). Finished eighth during Capitani Classic at Knoxville (IA) Raceway. Scored top-ten during Knoxville Nationals preliminary main event (eighth), as well as Knoxville Nationals finale B-main (ninth). Earned ninth victory of the 2017 season on August 18 at Williams Grove Speedway against the Arctic Cat All Stars. Earned 10th victory of the season at Lincoln Speedway on August 26, followed by a runner-up finish at Trail-Way Speedway on Sunday, August 27. Earned second consecutive Labor Day Classic victory on Monday, September 4. Earned pair of top-ten finishes (sixth, seventh) during Van May Tribute and Billy Kimmel Memorial at Williams Grove Speedway. Earned a pair of sixth place finishes during Night Before The Tuscarora 50 and Tuscarora 50. Rallied from 12th to finish seventh during Jim Nace Memorial at Selinsgrove (PA) Speedway on Saturday, September 16. 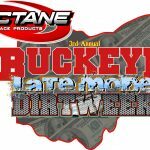 Earned three consecutive top-ten finishes from September 21 to September 23; a victory at Susquehanna Speedway, tenth place finish at Williams Grove Speedway, and runner-up finish during Lincoln Speedway’s Dirt Classic. Earned victory during “Run What You Brung” program at Williams Grove Speedway on Friday, October 6. Finished second during Lincoln Speedway’s season finale on Saturday, October 7. Finished seventh during World of Outlaws appearance at Port Royal Speedway on October 14. Finished second during Port Royal Speedway’s 2017 finale, Open Wheel Madness, on October 21. Five star racing at Raceway 7 this Friday! Only three weeks of points left to determine champions!